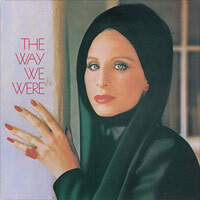 The Way We Were was written by Marvin Hamlisch (music) and Alan & Marilyn Bergman (lyrics). 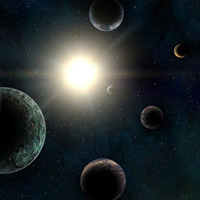 The song was recorded in 1973 and released January, 1974 from the album of the same name. All chord charts can be found below including left-handed charts with options for barre chords or open chords. If you are using a finger-picking style, the open chord alternatives are very nice... all charts below. Bridge: Can it be that it was all so sim-ple then? Or has time re-writ-ten ev-'ry line? Tell me, would we?___  Could  we? The song may seem a little difficult at first but once you spend some time learning the chords, you will find it flows smoothly and is a fairly easy song to play. Make sure you spend time learning the blue chords which are an alternative to standard barre chords and work very well with finger-picking styles. The voicings on some of these chords are beautiful, especially the F#7 (xx4320) and the transition from C#m7 (xx2424) to C#7 (xx3424). An easy way to play C#m7 and C#7 especially with the transition between the two, is simply use a mini-barre over the top 4 strings on the 2nd fret, then add the other notes according to the charts - easier on the hands too - especially C#m7. The A7 chord (x02223) used here is not your typical A7 (x02020), but it sounds much better in this arrangement due to the dramatic lift from the Verse leading into the Bridge section. This song is a great practice number for versatility in chord positions. Many guitarists stick to the same old way of playing certain chords. Here, you will find alternative voicings of typical chords which sound great in certain song structures. You don't have to play the Bm7/A and Bm7/E which is simply a Bm7 chord leading with the bass note shown after the forward slash. They add a little more interest to the song especially if you are playing solo. Don't be 'put off' if you are a beginner, however if it is too difficult, an easier key would be G Major where you would be playing all open chords which are easier and more familiar to you. Simply highlight and copy the song and use the 'free service' below which enables you to transpose the song to any key you want. If you transpose to G Major and want to play along with the video, you will need to place a capo on the 2nd fret. If you are playing with the video, follow the orchestra. The chord changes would normally occur with the lyrics as written above, but Barbra sings in a style which is unique ... some notes before the beat, others after the beat etc. The safest way is to follow the music and keep count until you become familiar with the song... good luck. BARBRA STREISAND chords and lyrics are property and copyright of their owners. "The Way We Were" chords and lyrics are provided for educational purposes and personal use only.